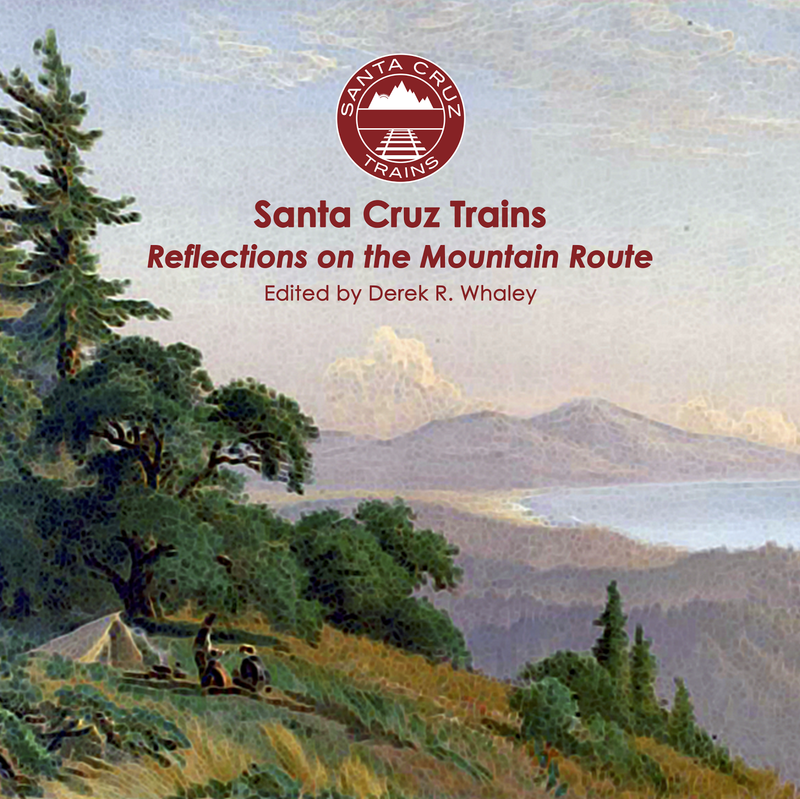 In 1937, the last independent railroad operation in Santa Cruz County ended leaving the entire county under the control of the Southern Pacific Railroad. This remained the situation until 1985, when the Santa Cruz Big Trees & Pacific Railway, operated by Roaring Camp, purchased the trackage between Santa Cruz Depot and Olympia. What was left—the track between Pajaro and Davenport along the coast—survived another decade before modernity finally caught up with the bullying tactics of the Southern Pacific, leading to its final demise. 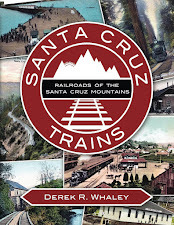 In its wake, the railroading history in Santa Cruz County changed drastically and continues to evolve even today. The history of the Union Pacific Railroad is virtually the history of railroading in the United States itself. The enterprise was founded July 1, 1862, via an act of Congress with the goal of connecting to the Central Pacific Railroad thereby creating the first transcontinental connection. This goal was accomplished May 10, 1869, and the two companies largely diverged from there. While the Central Pacific was eventually subsumed into the Southern Pacific Railroad (the final merger was not completed until 1959), the Union Pacific remained the predominant operation between the Mississippi River and the Rocky Mountains. For well over a century, it operated in concert with other companies, the Southern Pacific among them, but it never had much real estate in California except for the trackage of the Western Pacific Railroad, which it purchased in December 1982. That being said, from 1901, the Union Pacific actually owned the Southern Pacific, but they ran as separate operations until the Supreme Court broke the trust in 1913. By 1988, the Southern Pacific Transportation Company was suffering and was abandoning track anywhere it could justify it. Rio Grande Industries purchased the company outright and then expanded the Southern Pacific name to all its franchies (such as the Denver & Rio Grande Western Railroad). But this still was not enough to keep it alive. In 1996, a second merger of the Southern Pacific and Union Pacific railroads was approved and the former entity ceased to be. 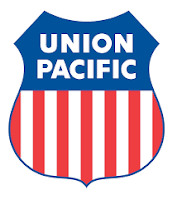 Despite Southern Pacific acting as the majority party in the merger, Union Pacific chose to reincorporate under its own name, ending the existence of the Southern Pacific. In Santa Cruz County, this had little immediate impact. Operations in the county were already irregular except for the Davenport cement plant traffic, and Union Pacific honestly had many other things to worry about elsewhere in the country. Still, between 1998 and 2003, unused sidings and spurs across the county disappeared, as evidenced by before-and-after SPINS maps produced by the railroad. In Watsonville and Watsonville Junction, around half of the sidings were removed or truncated to service the businesses that still utilised them. At Santa Cruz, all of the excess sidings and spurs were removed except for a single maintenance spur and the wye. Just outside the county, Union Pacific made a more drastic move by completely abandoning the remaining track between Castroville and Seaside, near Monterey, in 1999. Union Pacific chose to leave the track behind and simply remove the switch and junction track at Castroville, thereby disconnecting the Monterey Branch. 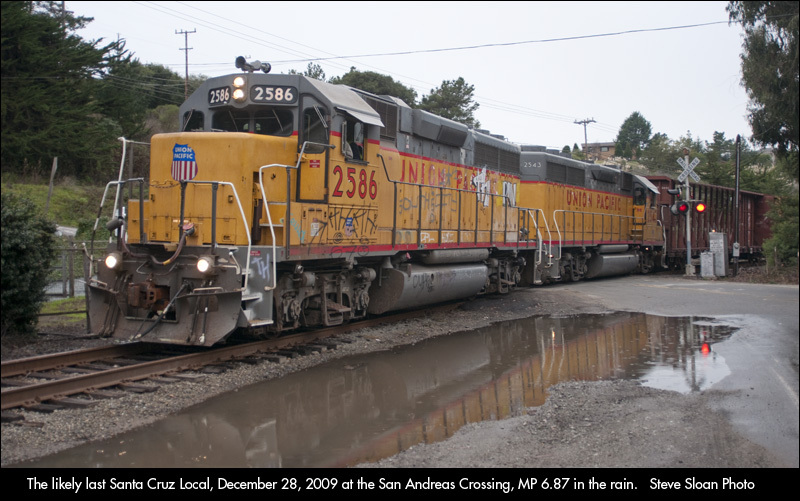 With the final closure of the Cement Plant in 2010, the Union Pacific was more keen to abandon the Santa Cruz Branch as it had the Monterey Branch a decade before. The remaining industries using the line – mostly Big Creek Lumber and a few patrons around Watsonville – were just as capable of using trucks, so Union Pacific threw in the towel. They sold the route to Santa Cruz County on October 12, 2012. Union Pacific retrains ownership of half-a-dozen spurs at the Davenport cement plant, but otherwise all trackage in the county is now owned either by the county itself or Roaring Camp Railroads. For more on the Union Pacific, see their website: http://www.up.com. Sierra Northern Railroad acted as the common carrier along the Santa Cruz Branch in 2010 and 2011, although the tracks remained Union Pacific Railroad property the entire time. Sierra Northern was formed out of a merger of multiple lines, including the Eccles & Eastern Railroad, incorporated by Karl and Burneda Koenig and Rick and Carol Hamman in 1988. This company had sought the common carrier license from Southern Pacific for the county, but was denied, severely limiting the railroad's potential. In 1995, it reincorporated as the Sierra Pacific Coast Railway and left the county. An entirely different entity, the Sierra Railroad, had been established in 1897 to connect the Central Valley to the Gold Country. In 1980, Sierra Railroad was sold to Silverfoot Inc., which in turn sold the railroad to the Sierra Pacific Coast in 1995. The combined Sierra Railroad and Sierra Pacific Coast purchased the Yolo Shortline Railway in 2003 and from this merger emerged the Sierra Northern Railway, a common carrier line that operates freight and passenger services on roughly 100 miles of California right-of-way. Knowing that the cement plant would be closing, Union Pacific was eager to give common carrier privileges to Sierra Northern, which ended up being responsible for transporting the moveable machinery out of Davenport. But the venture proved unprofitable to Sierra Northern, which had to travel outside of its usual zone to reach Santa Cruz. The group reneged on its contract in December 2011, a year after county voters approved the purchase of the Santa Cruz Branch from the Union Pacific. After spending over a million dollars in repairs, they left, forcing the county to look to new common carriers to continue rail operations on the line. For more on Sierra Northern, see their website: http://www.sierranorthern.com. Since around 2000, the Santa Cruz County Regional Transportation Commission had sought the purchase of the former Southern Pacific Santa Cruz Branch so that the line could be controlled more directly by county voters. Finally, on May 6, 2010, the RTC was able to initiate the purchase of the line for $14.2 million. Funding was secured by January 2011 and the final purchase was finished October 12, 2012. Since Sierra Northern had departed the county, the commission had to find a new common carrier, and one that they felt they could control more directly. On May 17, 2012, after five months of no railroad service or licensed common carriers on the line, the commission approved a contract for Iowa Pacific Holdings to become the new common carrier in Santa Cruz County, operating through the newly-incorporated subsidiary "Santa Cruz & Monterey Bay Railway Company". Iowa Pacific was incorporated as an international railroad company in 2001 based out of Chicago. It owns numerous subsidiaries in over a dozen states, as well as two railways in the United Kingdom which operate as the British American Railway Services. 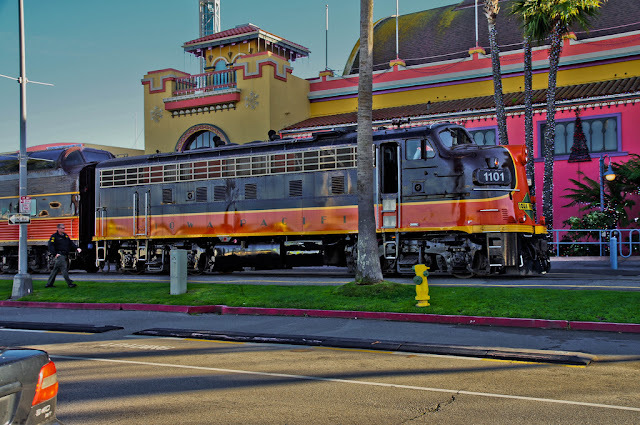 The carrier was licensed in Santa Cruz County to operate both freight and passenger services, although it took too much time to ensure the quality of the right-of-ways for the latter. For four years, the railroad has operated the Train to Christmas Town seasonal event, which in 2012 ran between the Santa Cruz Beach Boardwalk and Wilder Ranch, but in later years has operated outside Watsonville. In 2016, it ran the Polar Express seasonal train instead, although the company failed to pay its portion of the proceeds to Warner Bros, the owner of the franchise, prompting a lawsuit. 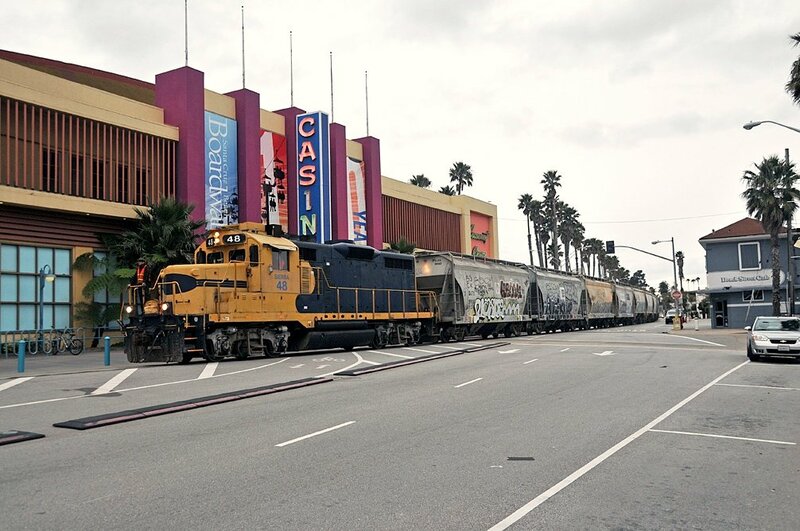 Around the same time, the county sued the company for failing to pay amounts due for Union Pacific cars that were parked on tracks throughout the line in 2016. In October 2017, it was announced that Iowa Pacific would be withdrawing from Santa Cruz County effective December 31. The company's rolling stock, except for one locomotive, were removed December 30 from the Watsonville biofuel plant spur. For more on Iowa Pacific, see their website: http://www.iowapacific.com. Hambleton, Dave. Public comments on this article. Hoppin, Jason. "With the rail deal apparently done, a final twist; Sierra Northern notifies RTC it wants out of deal", Santa Cruz Sentinel, 12/16/2011. Sloan, Steve. "Last UP Santa Cruz Local", Steve Sloan Train Photos, 2009. Union Pacific Railroad, Roseville Service Unit – Salinas Subdivision SPINS, 1998, 2003. Sad. I presume nothing has happened since?